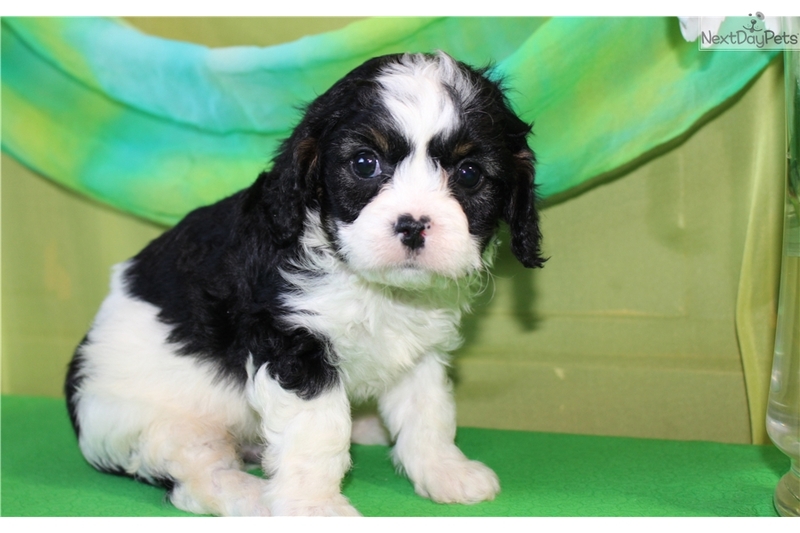 This Cavalier King Charles Spaniel nicknamed Bromley sold and went to a new family. 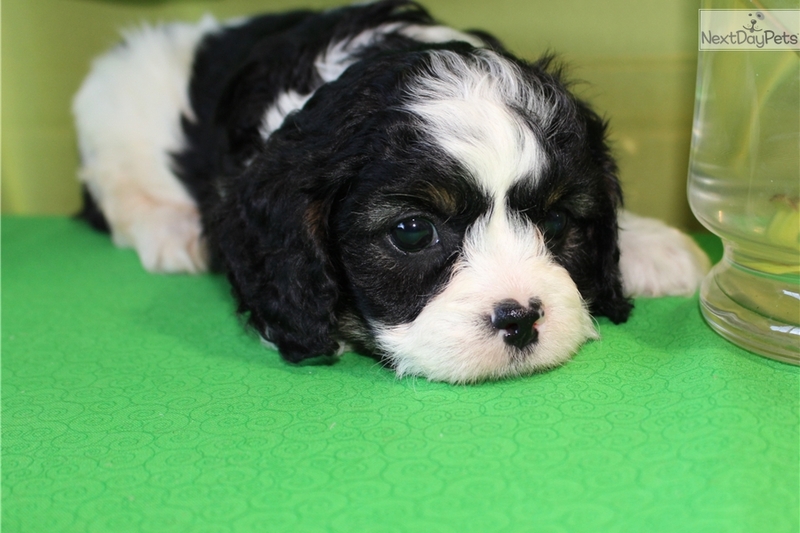 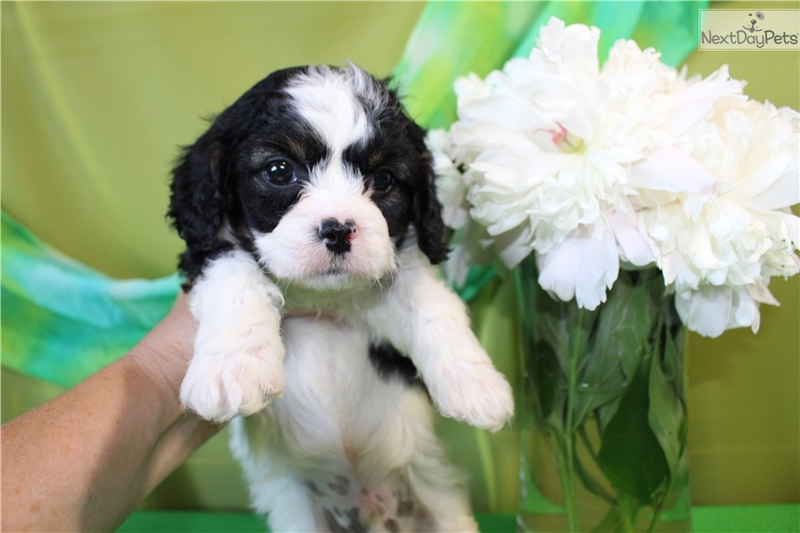 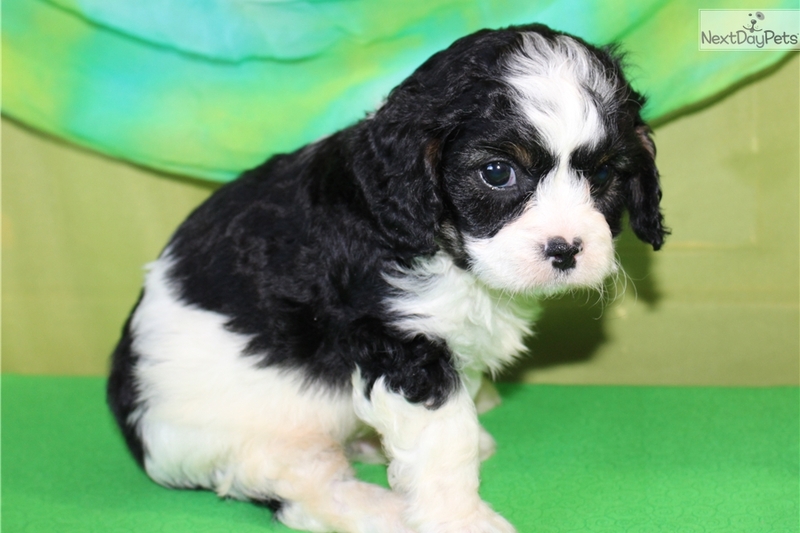 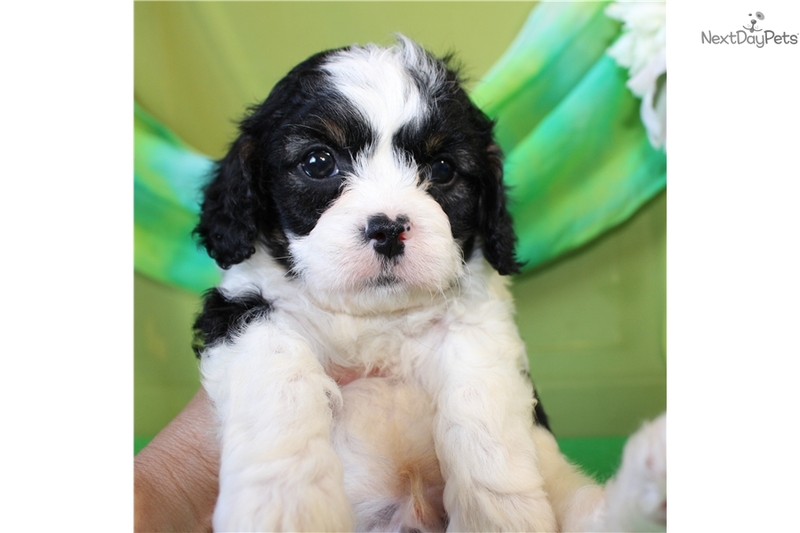 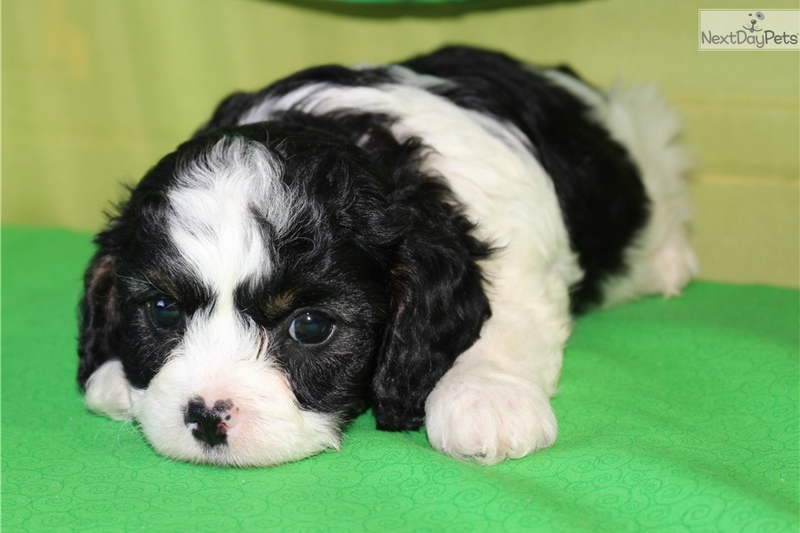 Bromley is a black and white Cavapoo boy that has been born and raised in our home and gotten lots of play time with our three kids and their cousins. 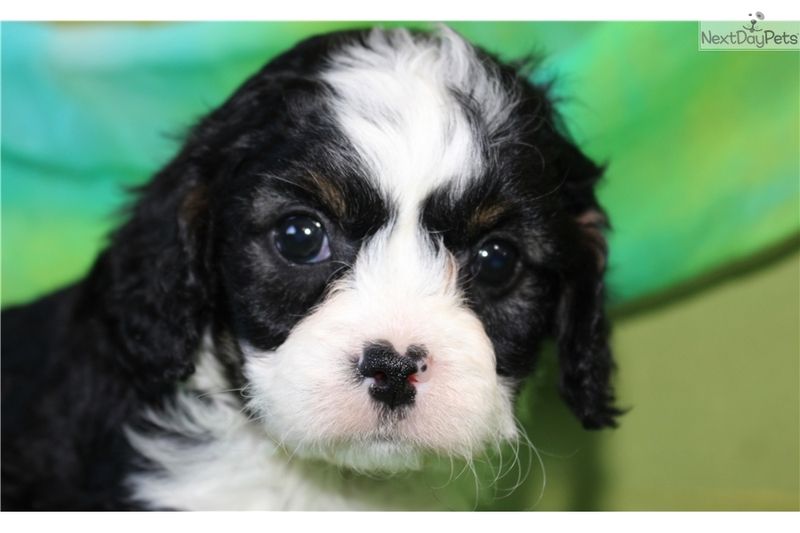 Bromley is playful and friendly and he loves kids. 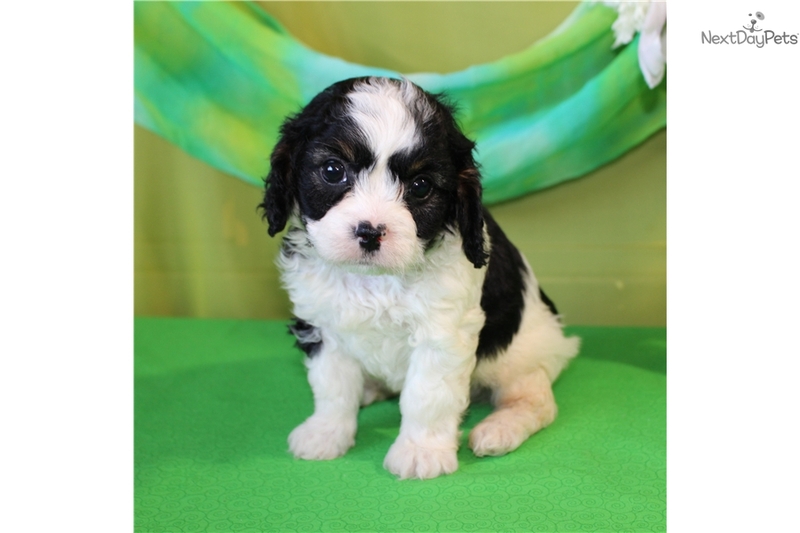 Bromley's Mother, Emily Joy, is an AKC Cavalier King Charles Spaniel out of Champion bloodlines, with good heart OFAs. 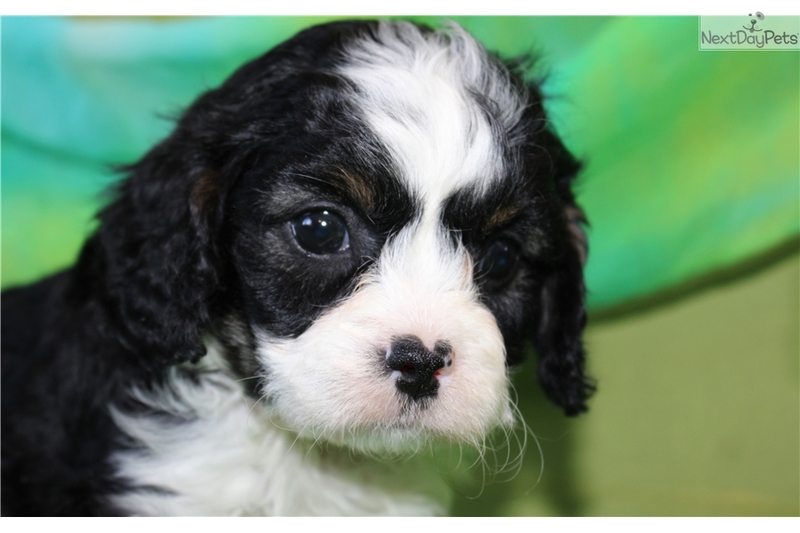 Bromley's Father, Georgio, is an AKC Toy Poodle that is as sweet and loving as they come! 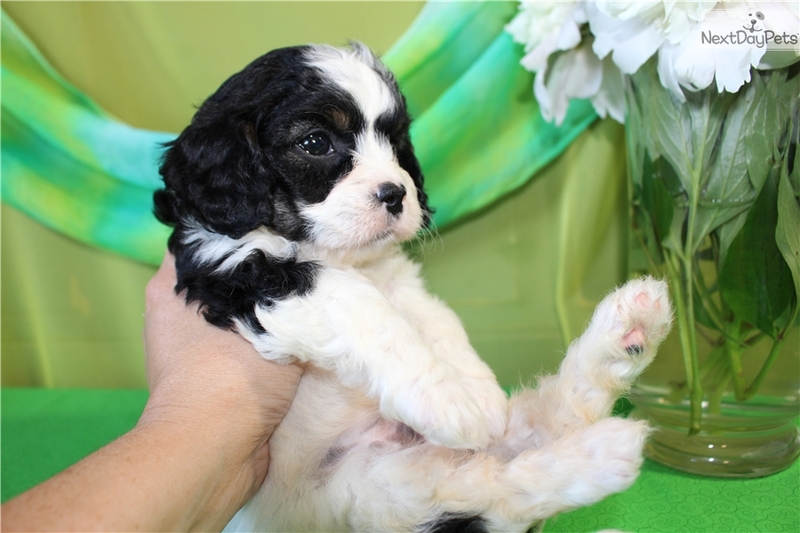 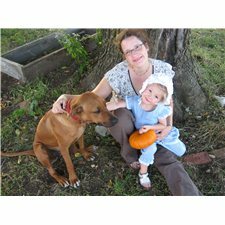 Bromley is NOT registered, because he is a mixed breed, but you can register him with different registries if you desire. 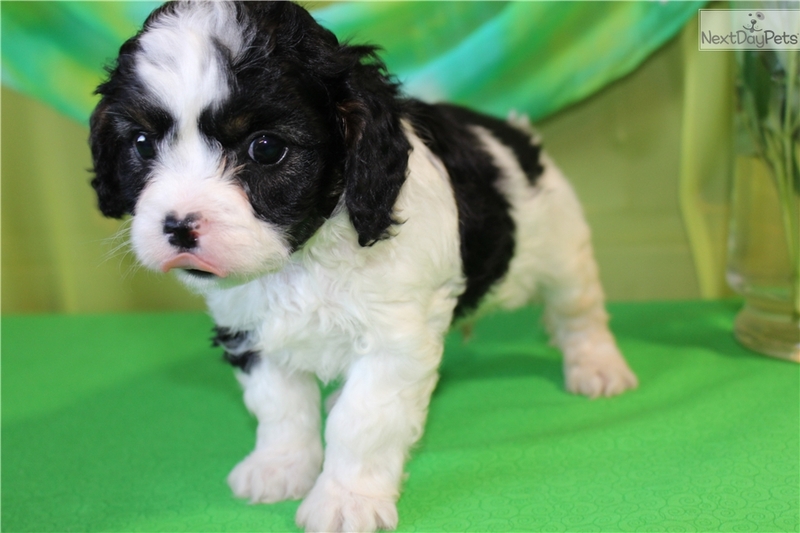 Just ask me for the parent's pedigrees. 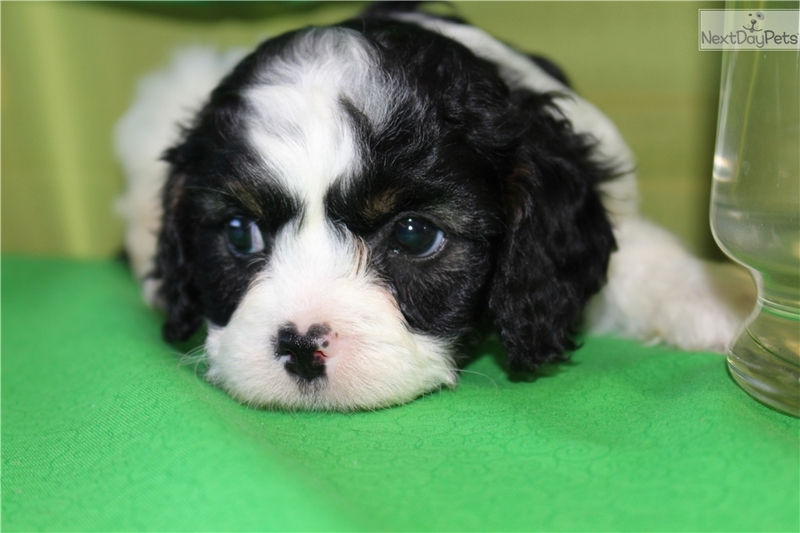 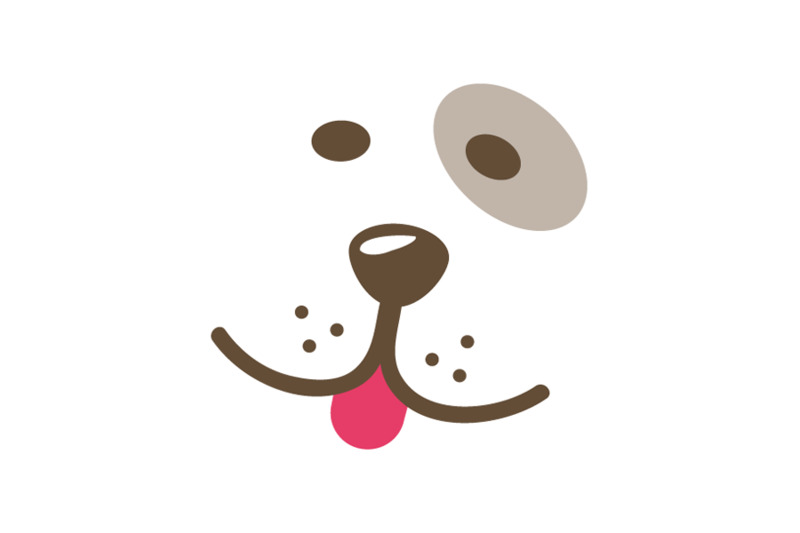 All our puppies come with a two year genetic health guarantee, vet check, first shots, worming, dew claws removed, collar, leash and toy. 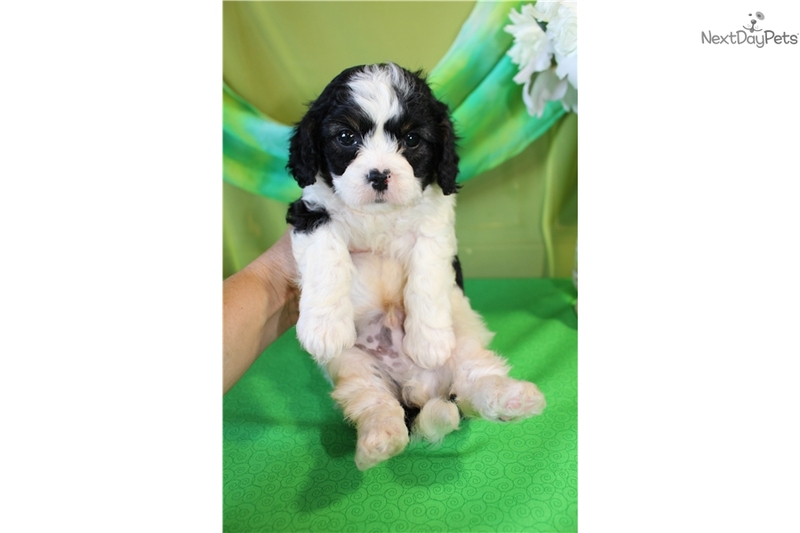 You can pick him up at our home near Independence, KS, or we can safely offer shipping for $300-350.